How much is Shin Dong-Joo Worth? Shin Dong-Joo net worth: Shin Dong-Joo is a South Korean businessman who has a net worth of $1.7 billion. Shin Dong-Joo is the eldest son of Lotte Group's founder Shin Kyuk-ho. 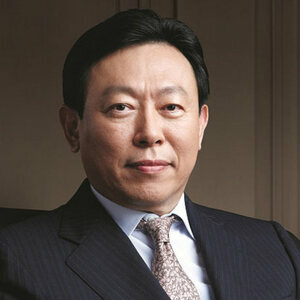 Shin Dong-Joo holds the positions of Vice Chairman of Lotte Holdings and the Vice President of Lotte Group in Japan. Whereas his brother Shin Dong-Bin serves as the Chairman of the company, best known for sweets and ice cream production. But apart from being a sweets maker, the group also operates in several sectors, including golf course and hotel management. However, most of Shin Dong-Joo's wealth comes from the publicly traded department store arm Lotte Shopping. A married man with one child, Shin Dong-Joo also lives in Tokyo, Japan.